We wait outside the dentist, a little too early to walk through the doors, mulling over the braces that were about to be put on A's teeth. She's growing fast my lovely A, with puberty up and running, secondary school under way, wandering around shopping centres with her friends - and now some metal train tracks on her sticky-outy teeth. "Lot's of people in my class say the Tooth Fairy doesn't exist and that the parents give you the money!" says P, the savvy child and over two years A's junior. "Tell me the truth Mummy, is there such a thing as the Tooth Fairy?" demanded P.
I don't like telling lies to my kids, the whole Father Christmas thing has never lain that comfortable with me, but I want them to work it out for themselves without the magic being destroyed. "What do you think?" I turned it back on them, to mull over the improbable facts. "Well she must be real," replied A "she wrote me all those little notes!" It's true, I wrote little notes thanking the children for their teeth, in fairy handwriting, telling them that their pearly whites would be used to make miniature tea-sets and the like. We made our way into the surgery where the dentist measured and took gummy moulds of A's teeth. A wobbly tooth needed to come out so the dentist presented A with the option to yank it out now - or she could wiggle and wobble it out herself at home. The latter option was obviously preferable. 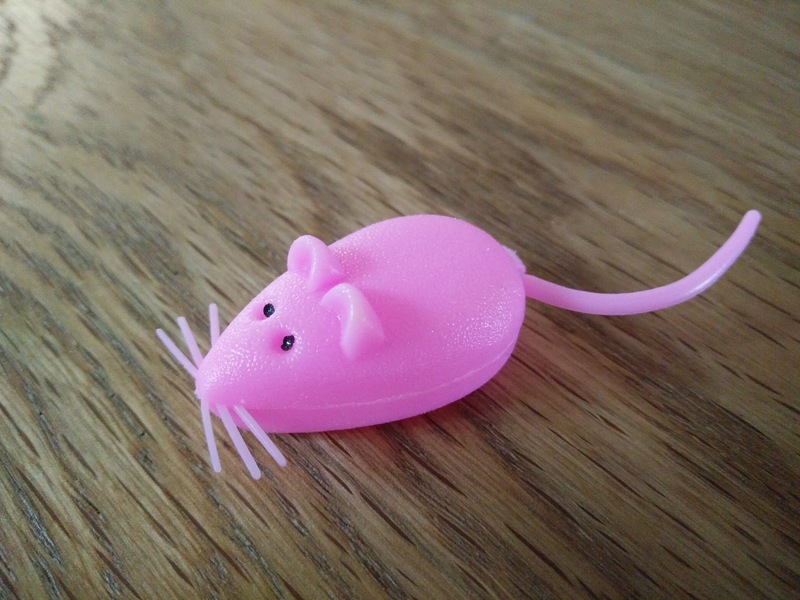 The dentist presented her with a tiny pink mouse shaped box, for her tooth to be placed in when it fell. Why the mouse we asked? And the dentist proceeded to tell us all about El Ratoncita Perez, the little mouse who collects children's teeth and shines them into pearls - and for that privilege he leaves a gift where the tooth once lay. Which kinda blows the Tooth Fairy out the window. Both children looked perplexed. They remembered teeth falling out in Spain and the Tooth Fairy HAD been. "I know! It's because we are English, the Tooth Fairy still comes to us but now we have bought a house here and we are residents of Spain, maybe Ratoncita Perez will come instead. I must write him a note in Spanish!" A says excitedly as she starts to encourage the tooth to fall out. Poppy looked at me incredulously. "Really Mum, I'm confused - who TAKES our teeth?"